From the architect. 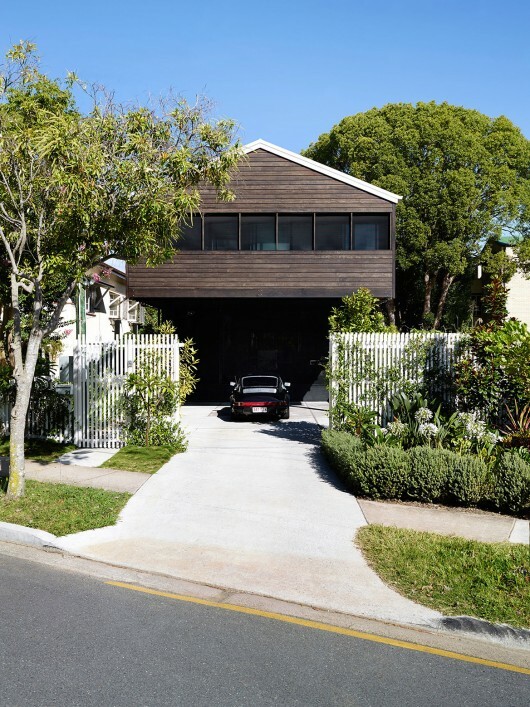 The Oxlade Drive House is situated in a low lying area at the southern tip of New Farm peninsula in Brisbane. 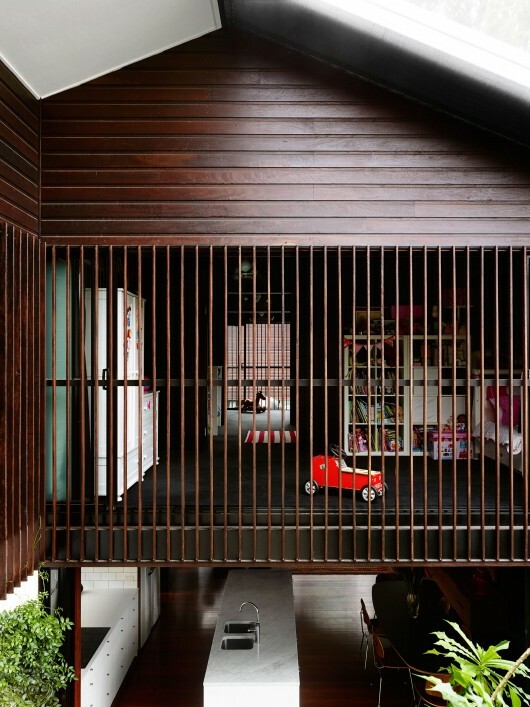 The house and courtyards are elevated slightly above natural ground to deal with flooding of the Brisbane River, flooding which occurred during its construction in 2010. A modest budget is part of most of our projects. In this case the clients were considering a Metricon house. A basic three bed house for $450,000. – A home that is comfortable all year with out mechanical heating or cooling. 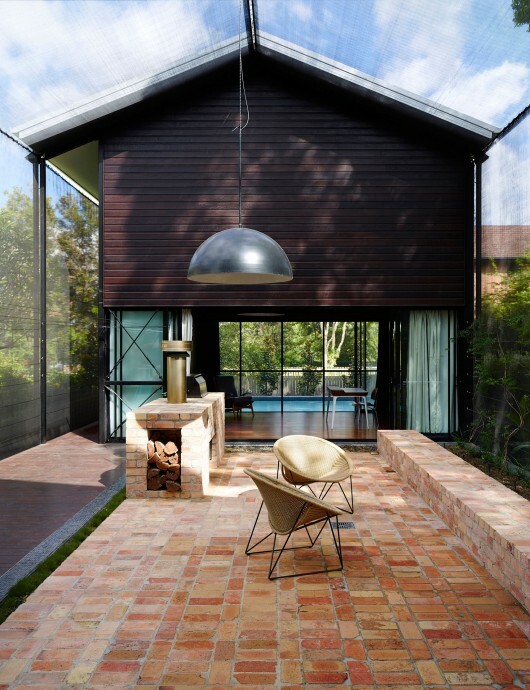 The house is configured as a series of two story pavilions that run down the depth of the block, each separated by a courtyard containing landscape, gathering spaces and a pool. The external face of pavilions and courtyards (walls & roof) are covered by shade cloth. The shade cloth covered courtyards provide protection from sun, insects and neighboring unit blocks. 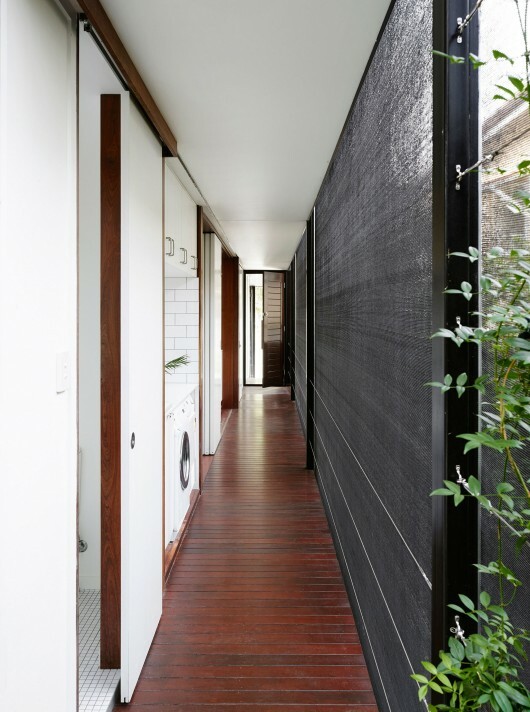 The elevated timber pavilion to the street housing the master bedroom incorporates a pitched roof and screened verandah, a response to the local character. The middle pavilion incorporates living areas on the lower floor and children’s bedrooms on the upper floor. 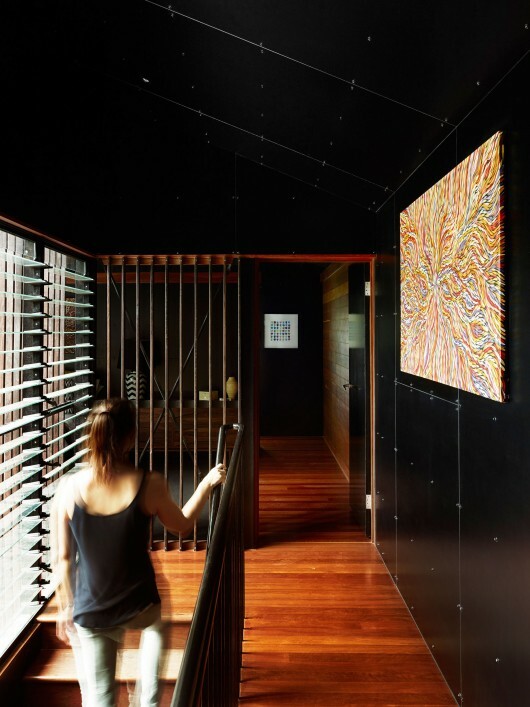 Bedrooms have interconnecting doors to change these spaces from sleep to a large play area that looks over and connects to the lower courtyards. The rear pavilion adjacent to pool is a retreat space that can be used as office, library or space to host visiting family members.